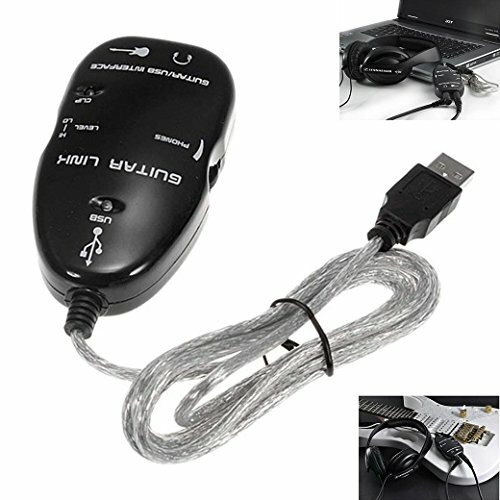 Works directly with PC or Mac computer, Ultra-Low latency driver for PC included. Variable-speed file playback function for MP3, WAV, AIFF audio files. perfect for easy learning and practicing. USB bus powered-Requires no external power. Mac OS 8.5, 8.6, 9.x, OS X. Windows XP SP2, Windows Vista, Windows7, 8, 10. EASY PLUG AND PLAY INSTALLATION - Plug in your favorite guitar and turn your PC or Mac computer into a guitar amp and recording system without the need for any other hardware. STEREO HEADPHONE OUTPUT- Lets you jam with your computer and can also be used for monitoring with active monitor speakers. WORKS DIRECTLY WITH PC OR MAC COMPUTER - Ultra-Low latency driver for PC included.